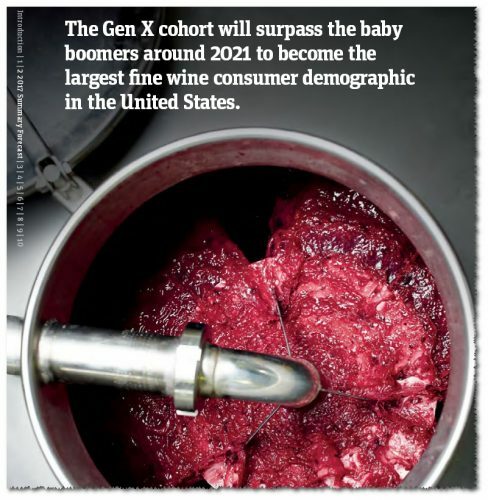 Each year, Silicon Valley Bank (SVB) releases their predictions for the U.S. wine biz for the coming year, and every year I have my (typically snarky) commentary on the report (which, I should add, I usually find to be insightful – the report, I mean, not necessarily my snarky commentary). 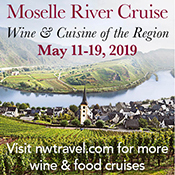 This month’s edition of the Wine Product Roundup (in which I put to the test samples of wine wares that can’t actually be imbibed safely) just so happens to be themed, for your pleasure. And pleasurable it is, because that theme is Champagne (and, well, bubbles in general). 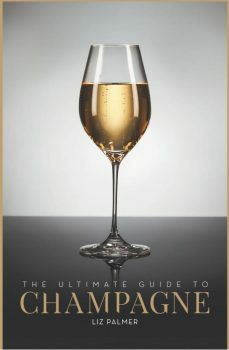 First up, there’s the other Champagne guide to be recently released, namely Liz Palmer’s “The Ultimate Guide to Champagne” (palmergroup, 314 pages, $39.50). I’ve known Liz to be both energetic and knowledgeable, both of which come through quite clearly in this guide, which is both aesthetically well-executed and very well organized. The Ultimate Guide to Champagne employs a lifestyle-oriented approach, eschewing producer-focused essays for broader topics such as Champagne history, tasting etiquette, production techniques, and serving Champers at corporate functions. The emphasis is on the elegance and fun of the beverage and its birthplace, but the material doesn’t devolve into sappy lightheartedness. Recommended, though the price is a bit steep for a paperback that’s on the smaller side. Now, when you’re reading about Champagne, it helps if you’re actually drinking the stuff (I’m actually hard-pressed to come up with anything that isn’t helped by drinking Champers, actually)… which is where our second product comes in, the ChampagnePopper (ChampagnePopper.com, about $15). And yeah, it’s one word. This device is basically a curved metal crowbar of sorts, with the added benefit of a bottle opener on the handle. Using it is pretty straightforward: you slip the tongs around a sparkling wine cork (that’s had its foil and cage removed… and is properly chilled for opening…), cover it with a dish towel (so the cork doesn’t injure anyone or anything), and sloooooowly pry the cork out. Generally speaking, this thing works; that cork pops out, and it does so with minimal effort. Having said that, the loud POP! action that ensues isn’t really what you want happening with any medium-to-high-priced bubbles, because it’s indicating that you’ve let waaaaaay too much CO2 gas escape. 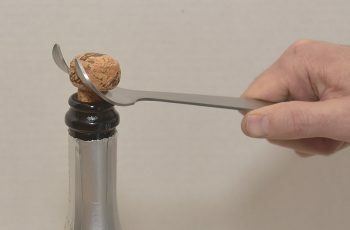 If you’ve got physical concerns that make opening bottles of bubbles difficult, or you need to open a lot of budget-priced bubbles quickly, then the ChampagnePopper is a reasonable, solidly-built buy (you could probably knock someone out with this thing, honestly); just don’t let it near your vintage Champers.